As North American racing series continue their overwrought fire drill to reclaim fan bases that no longer exist, and as they attempt to attract new, young devotees in an age in which young people are seemingly devoted to very little, bad decisions have tended to rule the sport. So when an actual good decision is made, it should be put on proper display and celebrated. 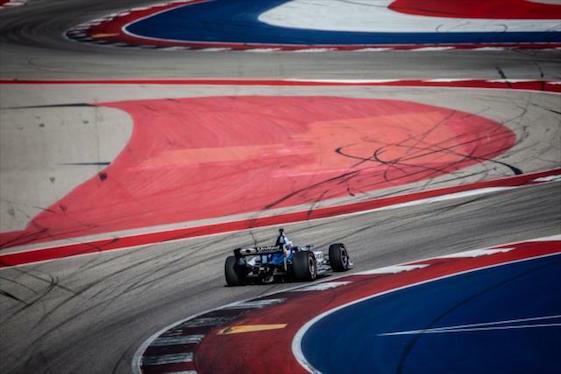 IndyCar has made such a decision by putting the Circuit of the Americas on its 2019 schedule. The race is scheduled for this coming weekend. Probably not the best time to be holding the inaugural COTA race, conflicting/competing for attention as it does with the first round of the NCAA men’s basketball tournament, but great news it is for open wheel fans. COTA is a pure, technical road racing venue. Braking, cornering and launching are put on full display without any of those whack chain link-fence topped concrete barriers to obscure the views of fans and drivers alike. COTA has something else upon which road racing fans insist – elevation change. A couple of years ago, drivers were positively ecstatic when wonderful old Road America was returned to the IndyCar schedule. That same oh boy will likely be on display again this weekend. The series held a two-day test session at COTA in February and the reviews were boffo. “I think the track is phenomenal,” said defending series champion Will Power of the 20-turn, 3.41-mile road course with 113 feet of elevation change. So what if drivers like a venue? So plenty if you’re a race fan. Racing is a bit like live music: The performers and spectators tend to feed off each other’s vibe. Drivers love it when the fans are happily hooked in and vice versa. There was always that vibe at Road America that brought fans and competitors just a bit closer together. The guess here is that every race fan in Texas except Texas Motor Speedway president Eddie Gossage is excited about this weekend’s race. So, good move IndyCar. As far as it goes. Here’s a plan to expand on it: Other than the 500 and Long Beach, stage every IndyCar race on a real road course. Ovals are a droning bore – distastefully spiced with horrific wrecks. Street races are fun – until the racing starts. Yes, the party atmosphere at places like St. Pete and Long Beach can offer great times. But watching cars bounce off walls and each other ranges from tedious to frustrating. It’s the great problem for those who like watching FormulaE on television. In addition to Indy, four oval races are on the 17-race schedule this year. Then there are five street races and the infield road circuit race at Indy. How is it – in a racing purist way – that the .75-mile, lightly attended Iowa event is on the schedule and Watkins Glen is not? Belle Isle is a decent track, but two races there an none at Mosport? Gateway has a race and VIR does not? It’s understood that factors such as weather, contracts, television and money factor into schedule-making decisions. But phasing in and rotating IndyCar races at North America’s top twisties just might help cure what is ailing IndyCar racing.